Biggleswade0845 2033304workVillageBiggleswade has a rich history and much of its character comes from buildings that have remained largely unchanged over the years. The town centre features the Market Square where a general market is held each Saturday. It is surrounded by shops, many in attractive converted buildings such as the old Market house. The river Ivel runs along the northern and western boundaries of the town causing development to be very one-sided, with housing estates in the east and south. Road and rail communications are good. 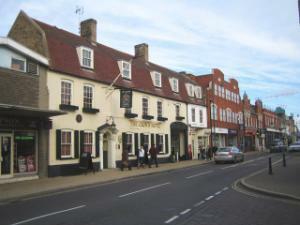 Biggleswade is situated on the A1 and has fast trains into London Kings Cross. The population is currently 15,383 but there is much housing development.